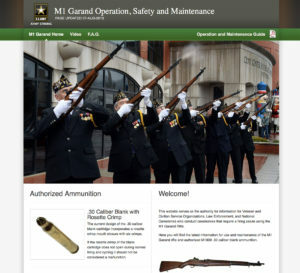 The latest information on the 1911's will be posted on this page. If you would like to sign up for our Sales Email Updates, please visit thecmp.org/email/. SOLD OUT - NO LONGER ACCEPTING ORDERS! It has been brought to our attention that some customers are receiving their 1911 and posting on Gun Broker and other such sites for resale. This was not the intention of the program. If you are found to be reselling these pistols you will be banned from purchasing from the CMP for an indefinite period. We are aware of the issue and we will handle, please no phone calls or emails concerning the situation. Thank You! We have received no information about the future release of anymore pistols. 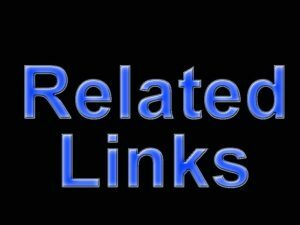 When we know we will post the information on our web site. Everyone should be notified of their RGN number within the next 30 days or sooner. Just because you receive an RGN number does not mean your packet has been accepted or is complete. You will know if your packet is accepted when you are contacted for payment information. Everyone will be notified if their order packet was not accepted so please be patient and bear with us. As we process orders, we will call customers as we work through the list. Once we receive payment information it may be up to 90 days before your credit card is charged and your pistol is shipped. Once it is shipped, you will receive an email stating it has been shipped and to notify your FFL that it will be delivered the next day. You will not receive a tracking number. The pistol will be sent to your FFL’s address. If anyone contacts FedEx to have the pistol shipped to another address or have it held at a Hub, the pistol will be immediately returned to CMP. If the pistol is returned, you will be responsible for the cost of the pistol being reshipped to your FFL. We only ship Monday – Thursday. Before contacting CMP 1911 asking where your pistol is, please contact your FFL first to see if it was delivered. Please do not contact CMP Customer Service with questions as they have to forward questions / calls to CMP 1911. If you have a question, concern or problems, please email [email protected]. Our telephone number is 256/770-4744. The bulk of these pistols have all been through at least one rebuild in its life and 99% are mix-masters of parts and have been refinished. We will not trade slides or receivers, what you get is what you get. If you are not happy, your only option is to return the pistol and we will refund your money. There are many reasons why it may appear that your number has been skipped, the biggest reason is not getting a “proceed” on the NICs check. We have to wait 30 days before running another NICs check. Also, people are not returning phone calls in a timely manner. If the call is not returned in 5 business days, your packet is rejected. Auction sales will not begin until late 2019 or later and will be announced on our web site. Please check our website for updates - http://thecmp.org/cmp_sales/1911-information/. We are working on assigning the random numbers to the 19,000 packets we have received and notifying every one of their number. Due to software issues and technical difficulties this is taking longer than anticipated. We are also having problems with the NIC’s system, we are working closely with the FBI NICs team & ATF to rectify this problem. – PLEASE BE PATIENT! It may be March before everyone is notified of their random number. Please DO NOT CONTACT US ASKING WHAT YOUR NUMBER IS. As we process orders, we will call customers as we work through the list. 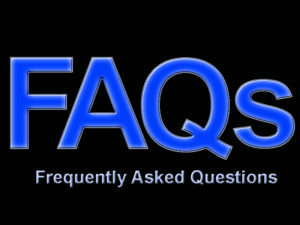 Once we receive payment information it may be up to 90 days before your pistol is shipped. Once it is shipped, you will receive an email stating it has been shipped and to notify your FFL that it will be delivered the next day. We only ship Monday – Thursday. Before contacting CMP 1911 asking where your pistol is, please contact your FFL first to see if it was delivered. ** If you have not received your RGN number, WE CAN NOT GO THROUGH 19,000 PACKETS TRYING TO FIND YOUR PACKET TO MAKE THE CHANGE, we will put the information in our files and make every effort to marry it up to your packet but there are no guarantees. Just because you receive an RGN number does not mean your packet has been accepted or is complete. Everyone will be notified if their order packet was not accepted so please be patient and bear with us. 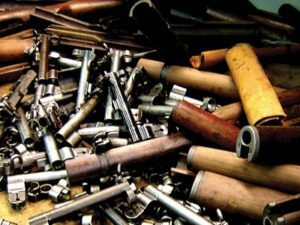 The bulk of these pistols have all been through at least one rebuild in its life and 99% are mix-masters of parts and have been refinished. We will not trade slides or receivers, what you get is what you get. If you are not happy your only option is to return the pistol and we will refund your money. We are working on assigning the RNG numbers to the 19,000 packets we have received. This will take some time – PLEASE BE PATIENT! It may take 30-60 days to inform you of your random number. Please DO NOT CONTACT US ASKING WHAT YOUR NUMBER IS. As we process orders, we will call customers as we work through the list. **If your information has changed (you have moved or your FFL has gone out of business), please DO NOT CONTACT US. You may update us when your number is selected and we contact you. WE ARE NO LONGER ACCEPTING ORDER PACKETS. EVERYONE will be notified if their order packet was not accepted so please be patient and bear with us. Our Random Number Generator (RNG) has selected random numbers for all the packets received. We are working on assigning those random numbers to the 19,000 packets we have received. This will take some time – PLEASE BE PATIENT! It may take 30-60 days to inform you of your random number. Please DO NOT CONTACT US ASKING WHAT YOUR NUMBER IS. Feel free to join the 1911 discussions on the CMP Forum. All ordering information is included in the CMP 1911 order packet. The information contained in the packet should answer ALL QUESTIONS regarding the ordering process. ORDERS WILL NOT BE ACCEPTED BEFORE 4 SEPTEMBER 2018. ORDERS RECEIVED BEFORE THAT DATE WILL BE DESTROYED. Thank you for your patience, understanding and support. Only ONE CMP 1911 order form packet per customer may be submitted. The Random Number Generator will provide a list of names in sequential order through the random picking process. Customers will be contacted in the sequence provided by the Random Number Generator. 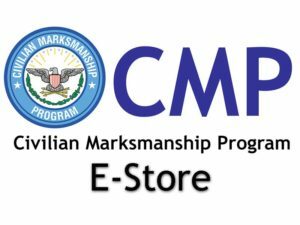 The CMP 1911 customers will select their grade of pistol (Service, Field or Rack) from available inventory at the time of order notification. Customers with higher numbers may have fewer grades from which to choose. When this year’s allotment of 1911s is exhausted, the remaining orders will be held in the existing sequence for all future allotments of 1911s. The CMP does not know what future allotments might be. CMP 1911 dedicated email address [email protected] to send their FFLs with customer's name attached. CMP has priced the 1911 type pistols at fair market value in accordance with CMP's enabling legislation. Service Grade $1050. 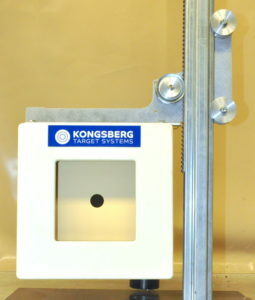 Pistol may exhibit minor pitting and wear on exterior surfaces and friction surfaces. Grips are complete with no cracks. Pistol is in issuable condition. Pistols may contain commercial parts. Field Grade $950. Pistol may exhibit minor rust, pitting, and wear on exterior surfaces and friction surfaces. Grips are complete with no cracks. Pistol is in issuable condition. Pistols may contain commercial parts. Rack Grade $850. Pistol will exhibit rust, pitting, and wear on exterior surfaces and friction surfaces. Grips may be incomplete and exhibit cracks. Pistol requires minor work to return to issuable condition but is functional. Pistols may contain commercial parts. 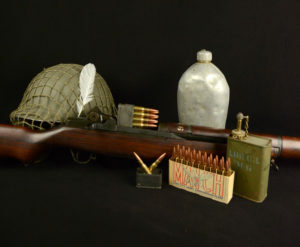 Auction Grade (Sales will to be determined by auctioning the pistol). The condition of the auction pistol will be described when posted for auction. Note: If you have already purchased a 1911 from CMP you will not be allowed to purchase an auction 1911. If you purchase an auction 1911, your name will be pulled from the sequenced list. No repeat purchasers are allowed until all orders received have been filled. Pistols may contain commercial parts. All pistols are inspected and test fired by the CMP. The shipping cost is included in the price. Potential purchasers will have to provide CMP with a set of CMP 1911 documents exhibiting: 1) proof of U.S. Citizenship, 2) proof of membership in a CMP affiliated club, 3) proof of participation in a marksmanship activity, 4) a completed 1911 order form, including a new form 2A with notary, 5) a signed copy of the 01, or 02, or 07 Federal Firearms License in which the 1911 will be transferred to. All qualifying documents must be included in your order packet. No qualifying documents, other than the FFL, will be accepted without an order packet. Note: The signed copy of the FFL may be faxed or emailed to CMP 1911 with the customer name attached. 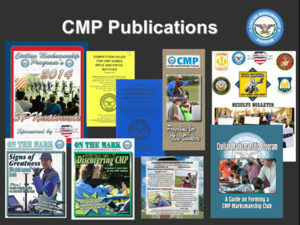 CMP Eligibility Requirements for ordering may be viewed on the CMP website at http://thecmp.org/cmp_sales/rifle_sales/eligibility-requirements/. 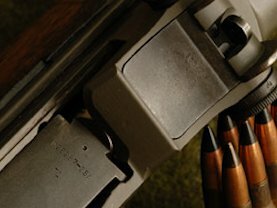 A NICS background check on each customer will be performed by the FBI to assure the customer is eligible to purchase prior to shipment to the FFL licensed dealer. 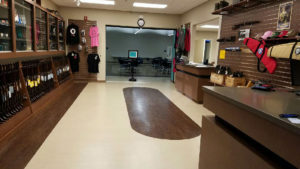 The customer must receive a "proceed" from NICS prior to shipment of the pistol to the FFL licensed dealer. The CMP customer will be required to complete a Form 4473 in person at the FFL dealer’s place of business and successfully pass a NICS check, in which the information is provided by the FFL holder to NICS, before the pistol can be transferred. This is a second NICS check performed on the customer. Note: The FFL licensed dealer in which the pistol is retrieved from will have to follow all federal, state, and local laws. Pistol grade and payment arrangement will be established when the customer is contacted by CMP sales staff at time of purchase. DO NOT send payment with your 1911 order. Customers will have 5 days to submit payment once notified.